My fiance Josh is only ten months younger than me, but there was a vital difference between our childhoods: he did not grow up in the magical world of Harry Potter! Recently, he asked if we could watch the movies together, and we’ve been marathoning them ever since. 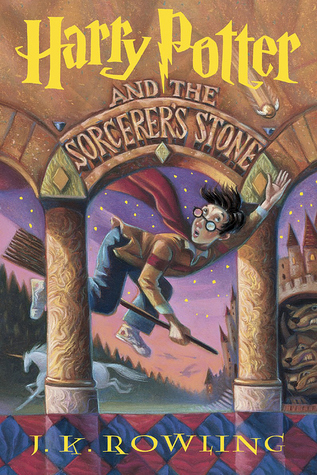 I’ve been reading the Harry Potter books since the third grade, and it was really exciting when I read the final book book in the main series since Harry and I were both 17. There was nothing wrong with my childhood, but I was kind of awkward and lonely and occasionally bullied. These books took me away when I read them and gave me a group of fictional friends to care about. I would sit in class and daydream about being at Hogwarts with my real friends. I have read these books and watched the movies countless times. I read the script for Harry Potter and the Cursed Child the day it came out (even though July 31st is also my fiance’s birthday). It’s been a really great experience sharing the movies with Josh, and I hope we read the books together someday. There are a lot of book series that I read as a child that don’t have the same impact in my adulthood, but Harry Potter is not one of them. These are the books that have impacted my life the most, and I love sharing them. I hope that someday I can sit down with my niece or nephew and share this experience with them as well. Do you have something from childhood that continues to touch your life as an adult? What still excites you and makes you feel like you can always relive the best parts of childhood? Let me know in the comments section! Next postWhere to Submit Your Writing?